For those who are fans of contact sports a free-standing punching bag is a must have training equipment. The free-standing punching bag models are more recommended to install at home because the structure of the house can be too fragile to install hanging punching bags. Another advantage of free standing bags for home use is that they require less space. Free-standing bags are easier to set up and they don’t require additional modifications to a room. I will present in this article a free-standing punching bag review for each of the five best free-standing punching bag models. Each review will inform you about the quality and durability of the model. It’s not without reason that all Free-standing Punching Bags that I’ve reviewed was made by Century. They are definitely the best free-standing bags that I’ve tried so far. Don’t take my words for it, make sure you check other reviews and ratings on amazon. You also will notice that I’ve added links with the cheapest price, I could find, but prices can change, so please compere it your self before buying anything: Amazon.com, Amazon.co.uk, Centurymartialarts.com. The Original Wavemaster bag is the first model from Century. This model was released for the first time more than a decade ago, and since then it became very popular in many gyms and martial arts clubs. The Original Century is the predecessor to the line of Wavemasters from Century. Each of the Wavemaster models comes with various improvements. The Original Century punching bag is made off high-density foam and a long lasting cover made off vinyl. The punching bag can be set to a height between 47 and 68 inches. Because this model is smaller than others, it is recommended to children and shorter adults. Original Wavemaster can be filled with water or sand. The entire fitness equipment weighs approximately 250 pounds. 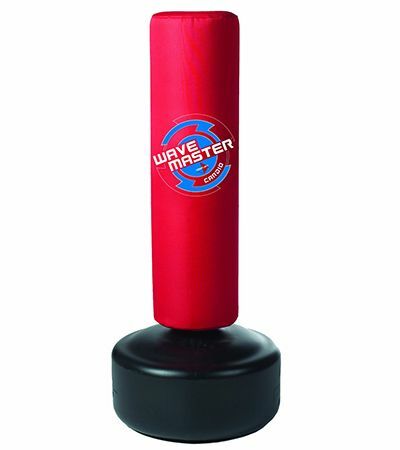 The Original Wavemaster punching bag is available in black, blue, and red. The punching bag is padded and stable. Century Wavemaster XXL is one of the most popular free-standing bags. This XXL product is much larger than the traditional Wavemaster bags and it is listed as holding 270 pounds of sand. Century XXL offers a very large striking surface, has a large base, it is heavy and difficult to know over. Training with a heavier bag is ideal for speed strength development, conditioning, punching power development, and coordination. The Century XXL measures 18 inches in diameter and stands 69 inches tall. That gives you plenty of space for martial arts practice. The striking surface of Wavemaster XXL is high quality, made of a vinyl cover atop high density foam. The ultra stable weight distribution and the low profile base assure that the punching bag will hold up sturdily to any martial arts routine. 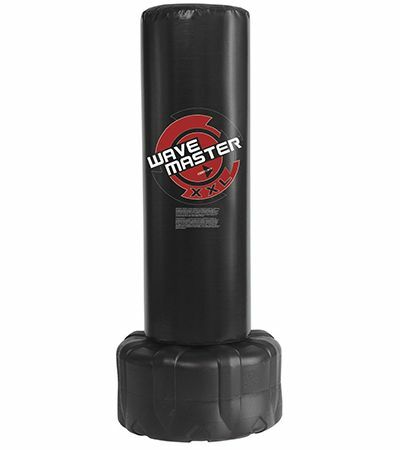 Century Aerobic Wavemaster punching is forty inches tall only for the bag alone. The fitness equipment offers four different height adjustments, between 53.5 inches and 65.5 inches. The bag is made of high density foam with a poly shell. The low profile base is rounded for easy roll relocation. 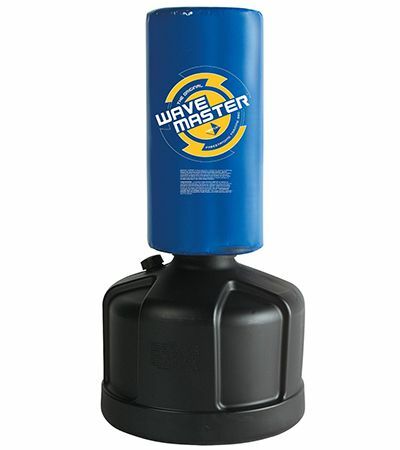 The Century Aerobic Wavemaster punching bag can be filled either with water or with sand. The product has good functionality and allows easy transportation. It comes in three color choices, black, red, and blue. Century BOB XL with Base Unit it’s a punching bag with a particular design. The punching bag looks like a person and it feels like you are hitting a real body. That makes it very effective training in martial arts because you are able to better target your punches. 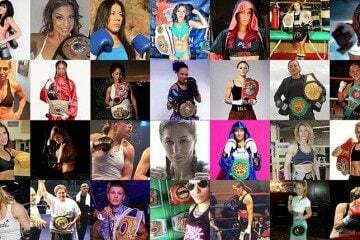 You can practice chain punching, side-kicks, elbows to the head, palm thrusts, waist and chest kicks, solar plexus strikes, and other targeted punches. It is much easier to practice if you have a visual representative of the area to target. It helps you to get used with the distance between you and the opponent. Using Century BOB XL with Base Unit helps you to get more of your training and has advantages over using a simple punching bag. Century BOB XL moves around just minimally and that helps you focusing on the target with mixing up combos and other combinations without missing strikes or punches. Century BOB XL allows for adjustable height with six variations between 60 inches and 78 inches. The punching bag weights 47 pounds. The unit is easy to install and doesn’t require any tools. The Century Versys VS3 Fight Simulator has a unique design that allows mixed martial artists to practice all kind of punching and kicking techniques. The three leg design is very stable and it is 60 percent lighter than other free standing bags. Century Versys weights around 100 lbs and can be easily moved around. The free-standing punching bag has approximately 18 inches in diameter and it is 69 inches tall. Century Versys allows for simultaneous practice of multiple users. The bag’s base is pre-filled and doesn’t require additional water or sand filling. 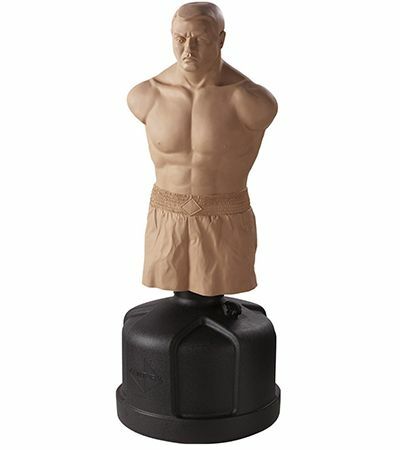 The punching bag design offers the ability to practice groin strikes, side-kicks, inside and outside leg kicks, front kicks, hook and heel kicks, and lower body opponent strikes to thighs, knees, and calf. The top handles are designed for clinch work and knee strikes.